10. Is That Your Car? 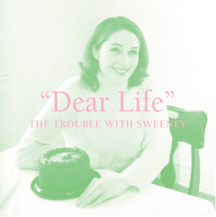 Philadelphia’s The Trouble with Sweeney’s full-length is inspired by ’60s pop of The Turtles and The Lovin’ Spoonful, but also points forward, purifying their cross-bread alt-country instincts. Mike “Slo-Mo” Brenner (Marah) adds lap steel and Brian McTear (Mazarin) produces. Their 2000 self-titled ep was listed in a writer’s top 10 of 2000 on rollingstone.com, apparently those tortured missives of love and disenchantment are still cool.